It is so healthy and delcious. What a spread! I love Mexican food because of the “build your own” opportunities. I appreciate all of the work you put into this post. Thanks Tammy! I love it too. I really enjoy seeing what other people do when they get to make combos. They seem to take a great delight in it as well – its truly interactive eating. 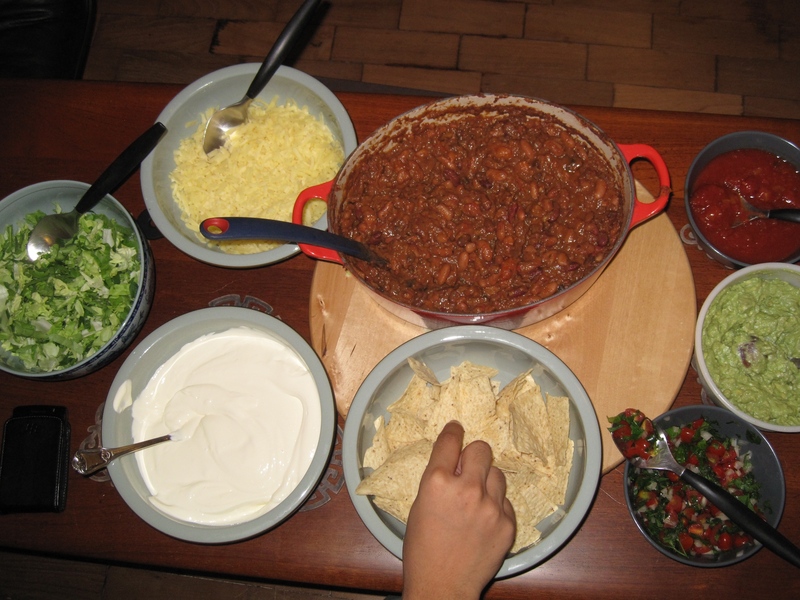 I also added some white corn tortilla chips to this meal, so some people were making their own version of nachos! Great fun.